On Saturday, the 24th of November, SCORE CIMSA Universitas Pelita Harapan held an event called SCORE Goes Public, an annual event aimed to increase interest in research among medical students. This activity was composed of a short seminar session by an accomplished and competent research figure in Indonesia, and also a workshop small tutorial class in courtesy of the research organisation of UPH Medical School, SECRET. This activity was held at Fakultas Kedokteran Universitas Pelita Harapan with around 25 people attending, most of which were SCORE members. The main objective of this event is to raise interest in research among the students and show the basics of conducting research, in hopes of generating a more passionate evidence-based generation of medical students and thus more quality scientific breakthroughs and hopefully publications in the future. The seminar was delivered by Prof. dr. Irawan Yusuf, PhD, an accomplished researcher from Moechtar Riady Institute of Nanotechnology. Aside from having the pleasure of listening first hand to the impressive achievements and experience of Prof. Irawan from years of devoting his career to research, here the participants learned about the basics of research such as what exactly is research, a simple step through on how to conduct it, and why it holds high relevance in the medical community, among other things. The seminar was then followed by a questions and answers session where the attendees could satiate their curiosity and also learn so many new, important, and interesting things that they haven't known or might have gotten wrong before. After that, the attendees were divided into several small groups to participate in a research workshop where they could discuss multiple topics and try to generate their own take on it and produce a title for their future research. This increased the passion for research within the participants because now they have a personal take on multiple topics for their own research in the future. The OC gained much experience throughout organizing this event and the participants showed high enthusiasm, as seen in their active involvement in the sessions. At the end of the project, they agreed that they have gained much understanding in regards to research, the importance of it in the medical world, and also how to conduct it. 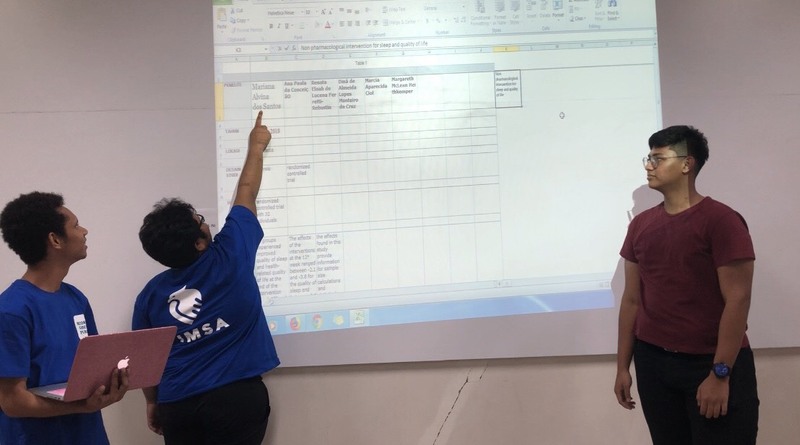 All in all, this activity was meant to empower medical students to challenge themselves and be critical thinkers, as according to the CIMSA Program: Human Resources for Health.